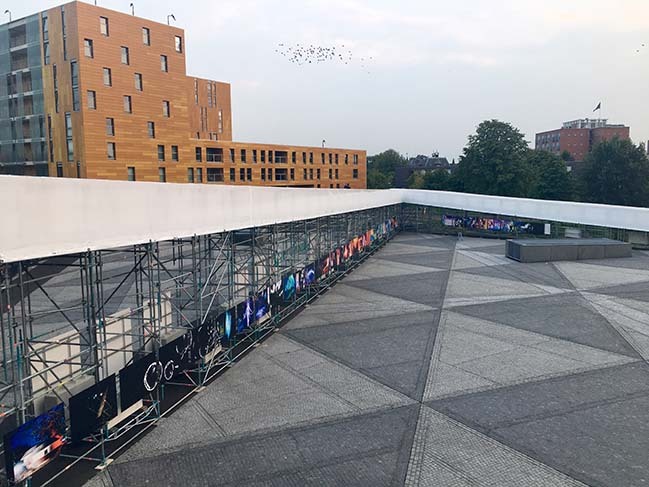 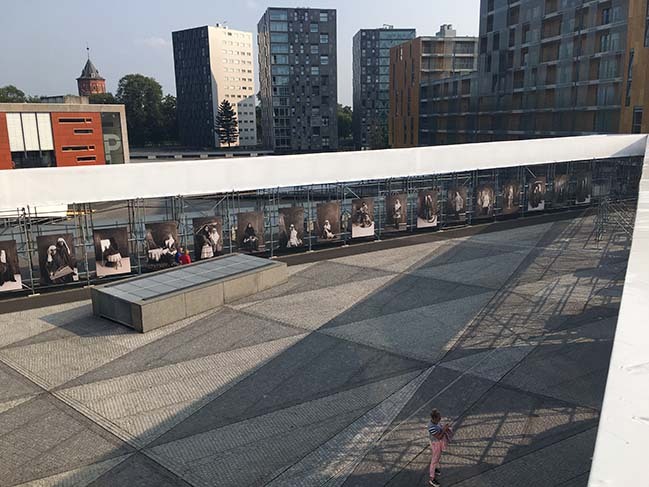 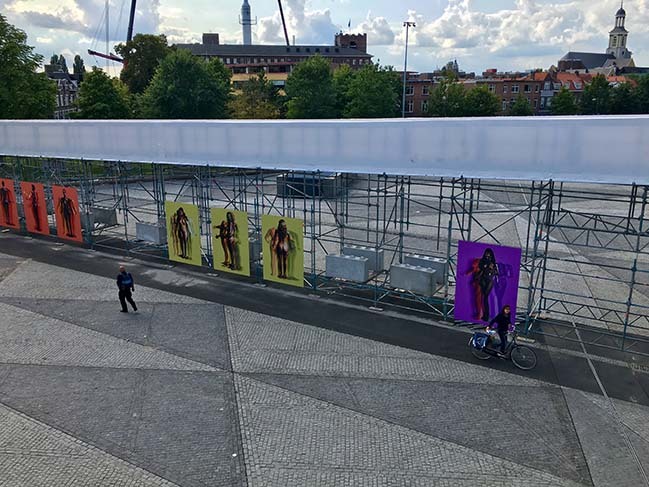 Installed as part of the BredaPhoto Festival from the September 5th to October 21st, The Infinity Path is a temporary structure covering a large part of the square on the Chassé Promenade. 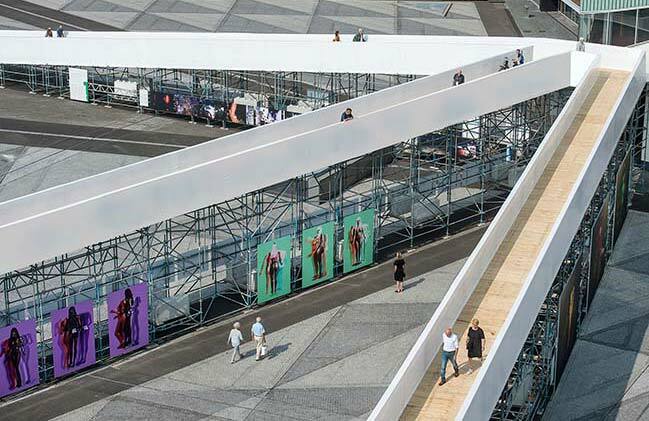 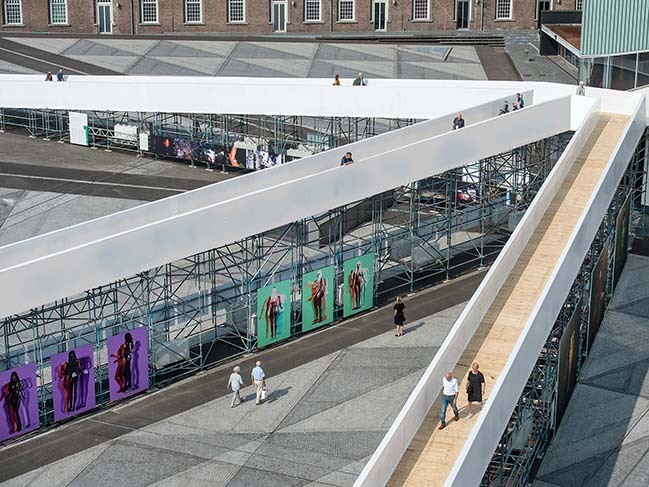 From the architect: MVRDV’s design comprises a raised path offering views to the city while providing wall space below to display photographs as part of the biennial event. 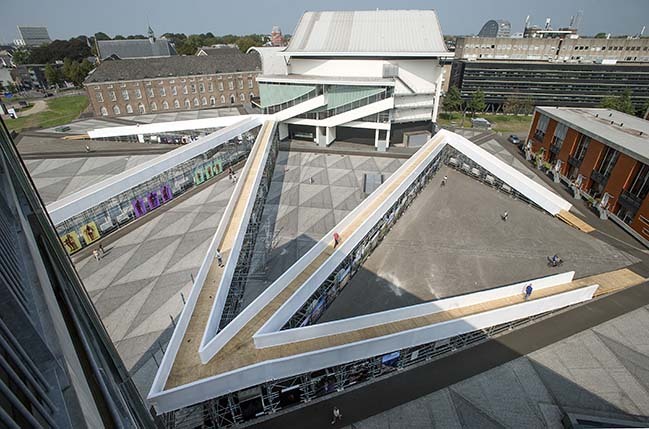 The form of the structure takes its cue from the square itself, which was designed by West8—the route follows the lines of the pattern which animates the ground plane, and therefore The Infinity Path literally brings a new dimension to the space.